Away from the #LazyNigerianYouths drama, the Vice-president has been quoted saying something noteworthy. 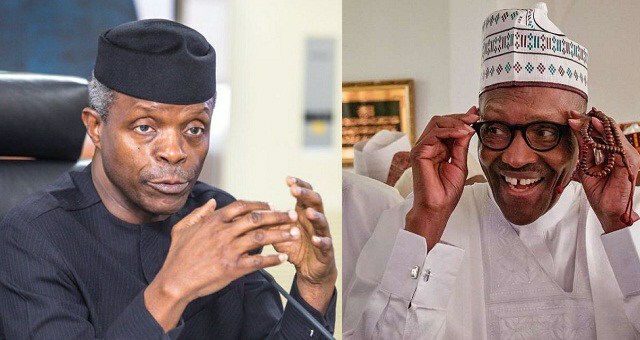 Vice President Yemi Osinbajo says there is no single corruption in the Buhari-led administration. Prof. Osinbajo said this while receiving the leadership of The Companion, an association of Muslim Businessmen and Professionals, in his office in Abuja, recently. “One thing that is very sure now is that this presidency is not stealing and we have a President who is not stealing and will not steal. There is no corruption in the presidency under the current government. This kind of body language is what is saving this country a lot of money now. Like what is happening in JAMB, Customs, FIRS, NPA, FAAN, NIMASA where we have witnessed improved revenue collection and returns to govt for unspent resources. When we begin to deal with corruption in all facets of government particularly within the public sector, there will be a lot of improvement in our country. The government is also looking at improving ease of doing business to be able to attract more foreign direct investment over a period of time. All MDA’s will be made to submit their expenditure in line with the budget as well and in compliance with the accounting year”. Osinbajo said.